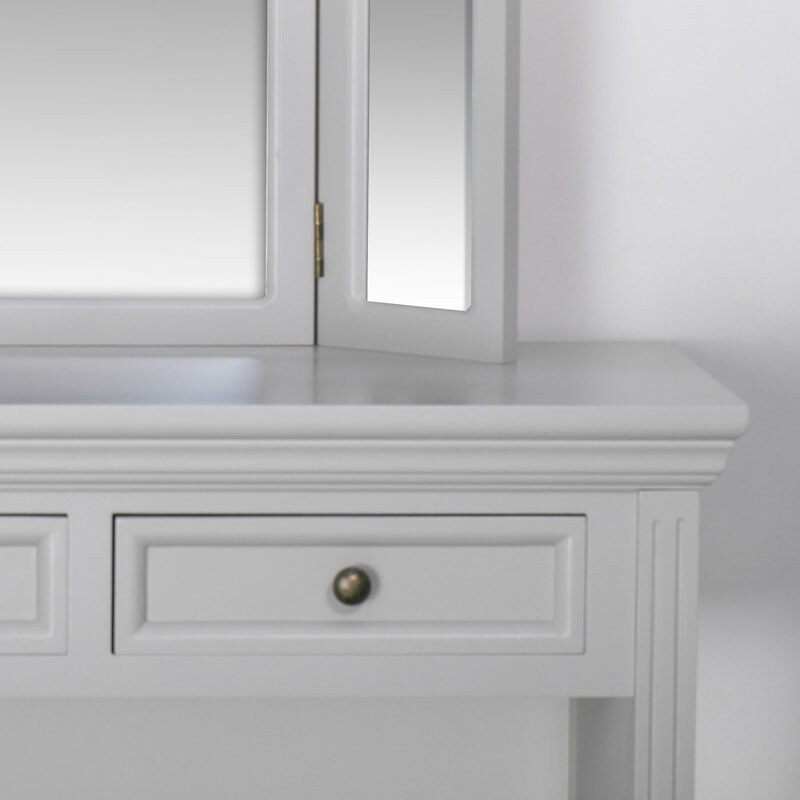 This stunning console table belongs to our Daventry Dove-Grey Range furniture. 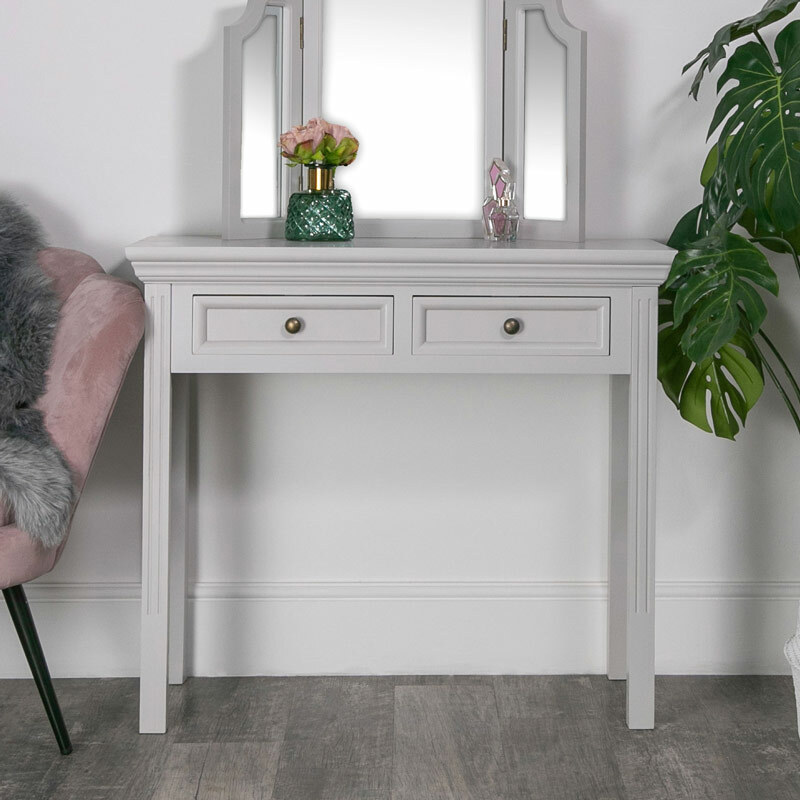 Perfect for use in the living room or hallway for a practical and stylish purpose and would also make a fantastic dressing table for the bedroom. Painted in a beautiful dove-grey colour that will stand out in any room. 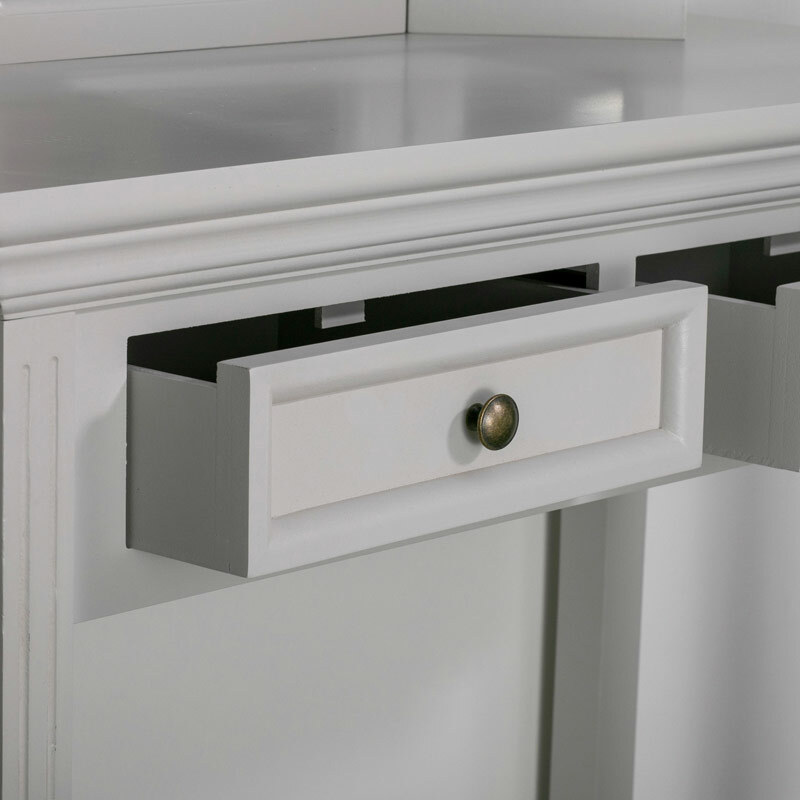 The console table comes with 2 drawers each drawer is fronted with a round brass knob. The classic Georgian style is perfect for the modern or traditional interior. For even more options we also have this fabulous style furniture in Cream, White and Taupe-Grey colours. Made from wood in a grey finish. The table measures 91cm x 81cm x 41cm (Width x Height x Depth) and the drawers each measuring 31cm x 78cm x 27.6cm (Width x Height x Depth). The table does require some assembly but this is quick and easy to do with just the legs to attach (fixings included). Assembly Time: Legs need to be bolted on, 5 minutes max.